Big surfer. 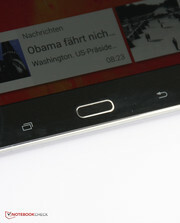 First we reviewed the Wi-Fi version of the Galaxy Note Pro 12.2, now we ran the LTE model through our battery of tests. Read our review update to learn the similarities and differences between the two devices. 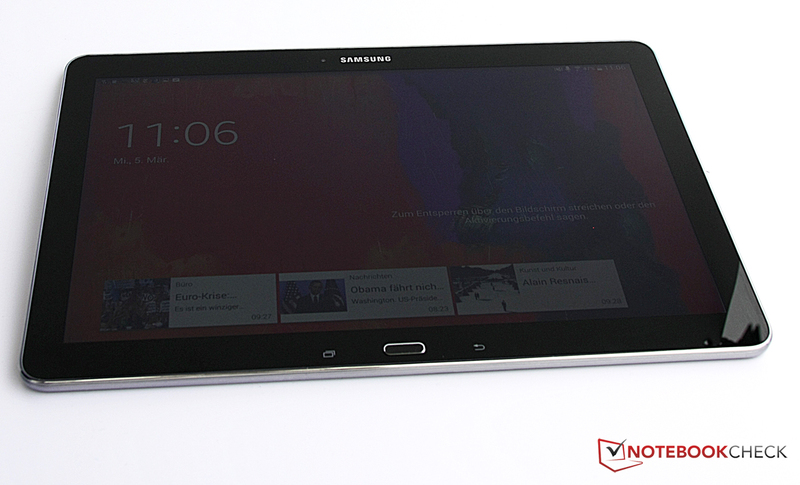 The Samsung Galaxy Note Pro 12.2 with Wi-Fi received an overall grade of "Very Good" in our tests. Now we have the LTE version in our test laboratory. But the communication modules are not the only things that distinguish the two models: A different SoC-heart beats in the Samsung Galaxy Note 12.2 LTE. Samsung equipped the Wi-Fi version with an eight-core SoC they manufactured themselves, while the Samsung Galaxy Note Pro 12.2 LTE runs on a Qualcomm Snapdragon 800 with "only" four processing cores. But many things remain the same: The high resolution display, the great operational controls (including a digitizer pen), and the wide variety of sleek, user-friendly software. Nothing has changed about the case, accessories, warranty, speakers or connectivity options either. You can read more about these facets of the device in our review of the Samsung Galaxy Note Pro 12.2 (as we will not address them in this review update). 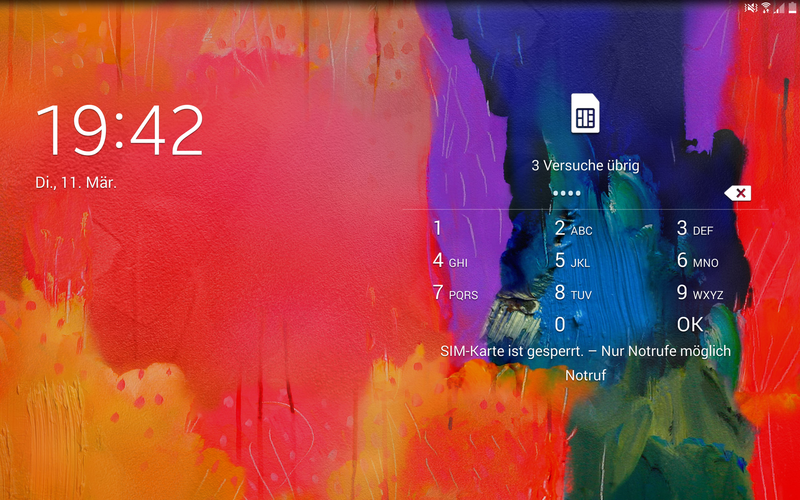 The status bar at the top of the screen shows the type of network and the signal strength. The SIM card, of course, has to be unlocked from the lock screen. The only visible difference between the model with Wi-Fi and the model with LTE is the SIM card slot on the Samsung Galaxy Pro 12.2 LTE. It expands the range of connectivity options located on the right side of the device. 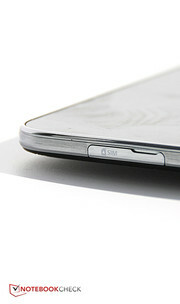 After inserting a micro-SIM card in this slot, the user can then surf over HSPA with a maximum download speed of 42.2 MBit per second and maximum upload speed of 5.76 MBit per second. For those who want things to go even faster, the download speed for LTE Cat4 reaches up to 150 MBit per second, and its upload speed hits up to 50 MBit per second. 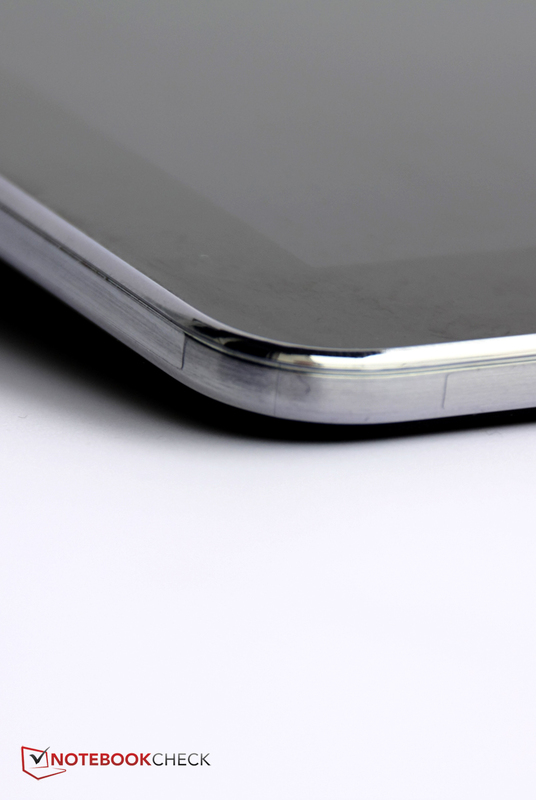 The SIM card sits relatively deep in the case, making it somewhat difficult to install and remove. 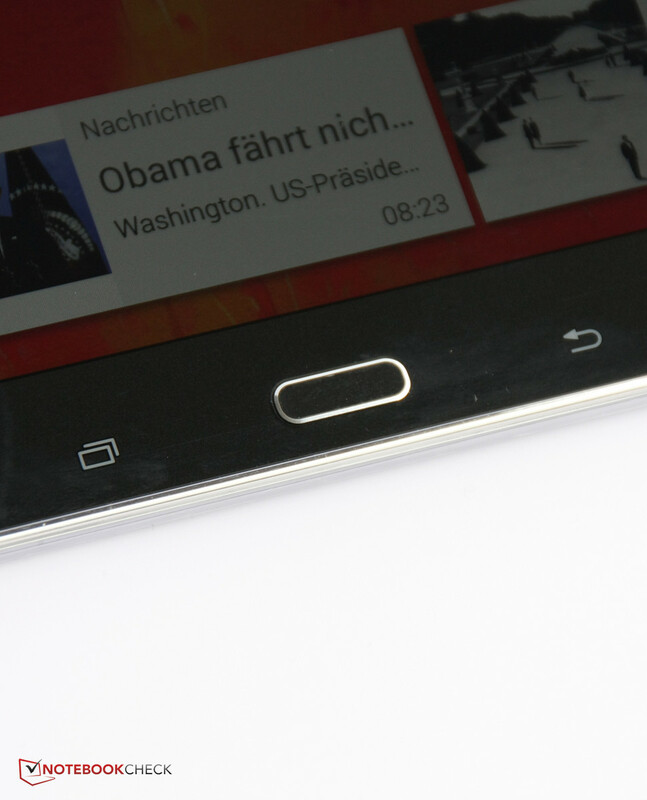 It is possible to swap out the SIM card while the tablet is in use, though the system then requires a reboot. We inserted a micro-SIM card and assessed the device's reception quality and speed, both over UMTS as well as on the LTE network set up by the German company Telekom. Both function very well. Over HSPA, we were able to surf quickly on mobile Internet. 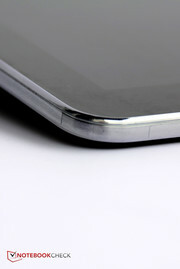 Where the network permitted it, the tablet usually maximized the transfer speeds. In our big city, we generally had three-quarters or full bars, though it sometimes sank to about 50% indoors. Still, overall the reception is good. The tablet did similarly well on Telekom's LTE network: It is possible to use the full speed available, and the reception is good. 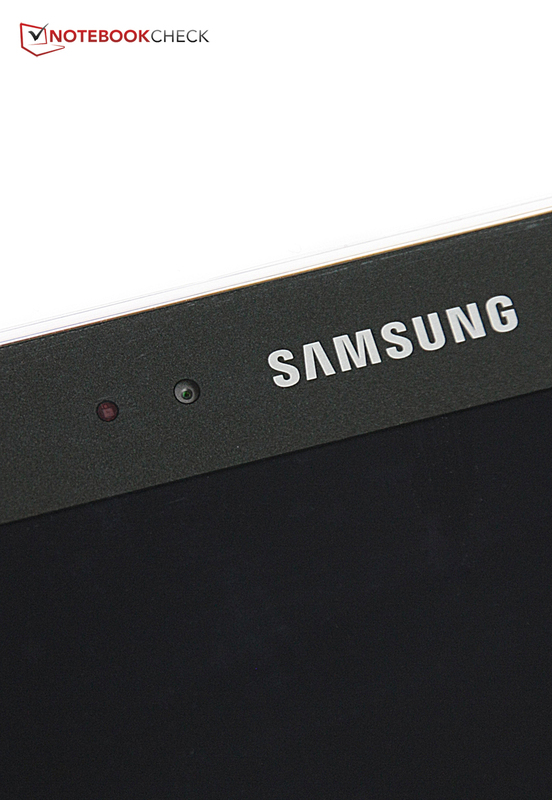 The SoC at work in the Samsung Galaxy Note Pro 12.2 LTE is a very popular one: The Qualcomm Snapdragon 800 MSM8974. This SoC is also installed in the Google Nexus 5, Nokia Lumia 1520, Kindle Fire HDX 7 or the Galaxy Note 10.1 2014 Edition, to name a few. It has four processing cores that clock at 2.3 GHz. The Adreno 330 integrated graphics solution is one of the fastest mobile graphics chips on the market today. In terms of performance, the processor outstrips the Samsung Exynos 5420 Octa in the Wi-Fi version of the Galaxy Note Pro 12.2 by a substantial margin. 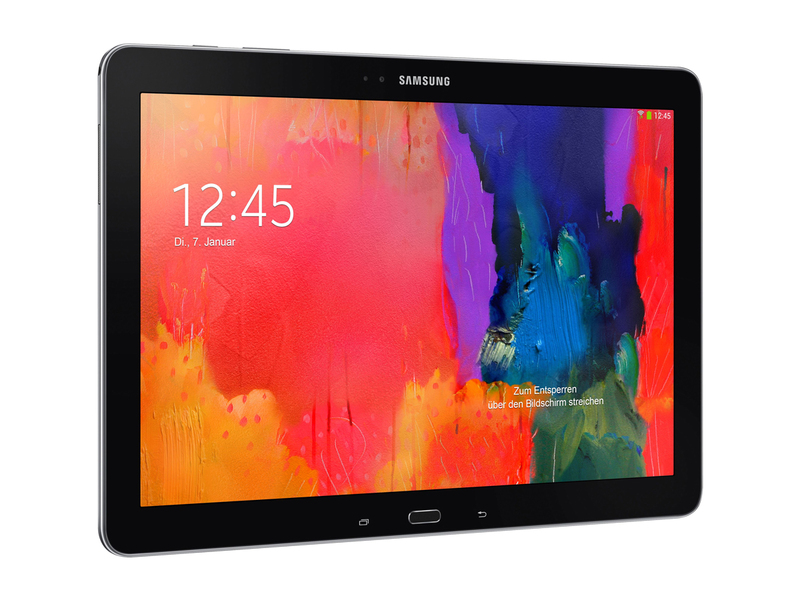 This is noticeable in practice as well: While there were some delays navigating through the main menu on the Wi-Fi version, the Galaxy Note 12.2 LTE functions completely fluidly. The benchmarks speak loud and clear too: In Linpack our test device comes in 13% to 15% ahead of the Wi-Fi version. In single-core mode, however, the Samsung Exynos 5420 Octa can keep up with the Qualcomm Snapdragon 800 MSM8974, and even beat it in some areas. The graphics chip is also quicker than that of its sister model with Wi-Fi and in most of the graphics benchmarks only the Apple iPad Air constitutes a real competitor. In terms of memory access, the LTE version's speed is almost identical to that of the Galaxy Note Pro 12.2 with Wi-Fi, and only the Samsung Galaxy Note 10.1, 2014 Edition surpasses it. The Galaxy Note Pro 12.2 with Wi-Fi had no problem running current games, and thanks to the LTE version's faster SoC, you can have just as much fun on this device. Whether you want to play light, casual games like Angry Birds: Star Wars 2 or demanding 3D games like Iron Man 3, everything runs fluidly and presents no problem for the speedy graphics solution. The Samsung Galaxy Note Pro 12.2 with Wi-Fi had no problems in the realm of surface temperatures -- despite its thin build. The LTE version keeps similarly cool; its temperatures even remain below the Wi-Fi model's. A maximum of 35.9 °C (96.62 °F) is as warm as your hand at most. As was true of the sister model too, the case hardly warms up at all in idle mode. (+) The average temperature for the upper side under maximal load is 27.5 °C / 82 F, compared to the average of 30.7 °C / 87 F for the devices in the class Tablet. (+) The maximum temperature on the upper side is 33.7 °C / 93 F, compared to the average of 34.8 °C / 95 F, ranging from 22.2 to 51.8 °C for the class Tablet. 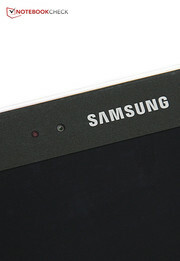 Energy consumption, especially in standby mode, was an area where the Samsung Galaxy Note 12.2 with Wi-Fi fell short. The LTE model has to take the same criticism -- 1.2 Watts in standby mode is too much. Overall, the LTE model's energy consumption rates are even higher than its Wi-Fi twin and therefore very high. Our test device needed up to 11 Watts under full load, while it consumed up to 9.4 Watts in idle mode. One of the consequences for the Wi-Fi model was a mediocre battery life -- let us take a look at how long our current review device is able to keep chugging along. 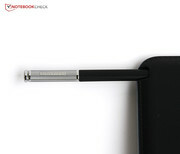 Like the Samsung Galaxy Note Pro 12.2 with Wi-Fi, the LTE model's lithium-ion battery also has a capacity of 35 Watt hours. That means our review device's battery life should be even shorter than that of its twin. And indeed, the Samsung Galaxy Note Pro 12.2 LTE's battery runtimes are up to 20 minutes shorter than its sister model's. But they are still long enough for practical, everyday use -- after all, you can still surf over WLAN for 8:46 hours. It is frustrating, however, that left in standby mode (completely untouched), the device fully depletes its battery within one-and-a-half days. In the end, there are not too many differences between the Wi-Fi version of the Samsung Galaxy Note Pro 12.2 and its LTE counterpart. The display has a very high resolution, though its black value and contrast are somewhat weak. 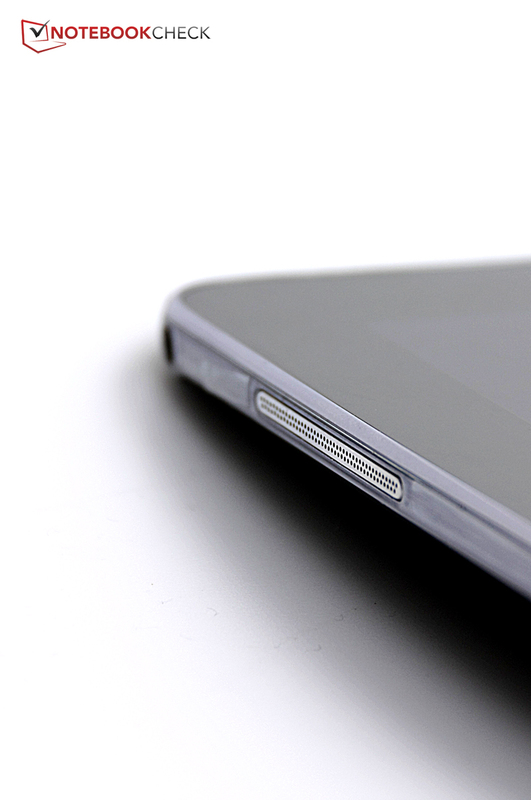 The tablet has a diverse array of operational controls, and they all function with precision. Due to its simple and intuitive interface, the device's software is a joy to use. The main reason for this version's surcharge is surely the LTE module, which can capitalize on an LTE network's full transfer speeds and transmits reliably. But the processor also runs considerably faster, and even though it only has four cores at its command, it outstrips the Galaxy Note Pro 12.2 Wi-Fi's octa-core by a substantial margin in our benchmarks. The delays we experienced while navigating through the Wi-Fi model's main menu were not present on the LTE version. A mixture of higher clock rates and cores clocking at the same rate make this possible (half of the Samsung Exynos 5420 Octa's cores clocked significantly slower). 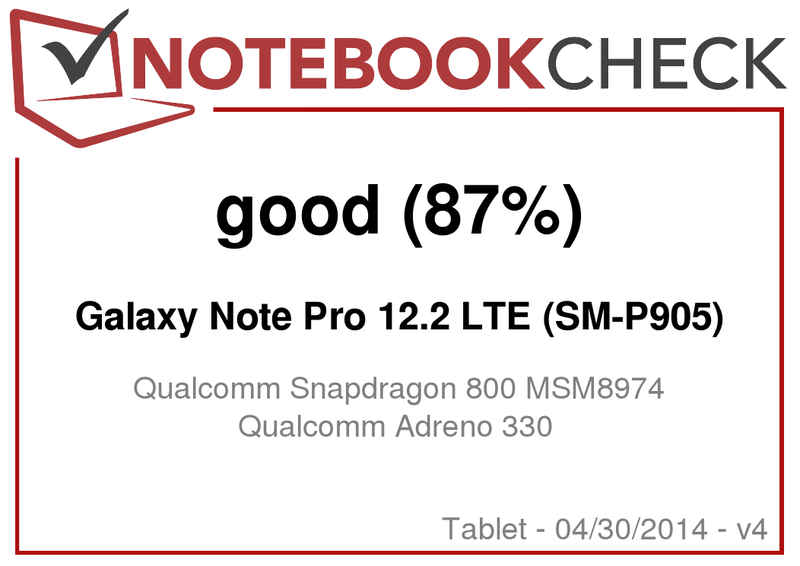 In conclusion, if you are looking for a tablet that has a big screen for watching videos or can multi-task effortlessly, and you want LTE to come with it, go ahead and pounce on the Samsung Galaxy Note Pro 12.2 LTE: Like its sister model, it deserves a "Very Good." 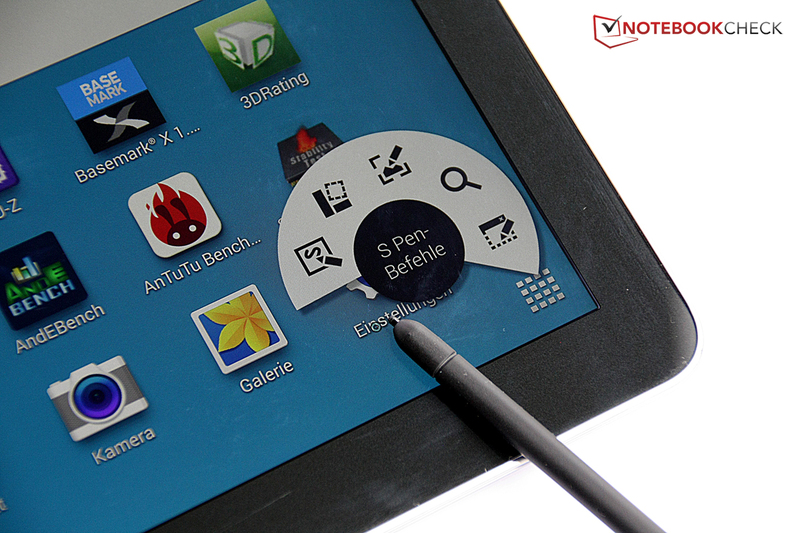 In Review: Samsung Galaxy Note Pro 12.2 LTE (SM-P905). 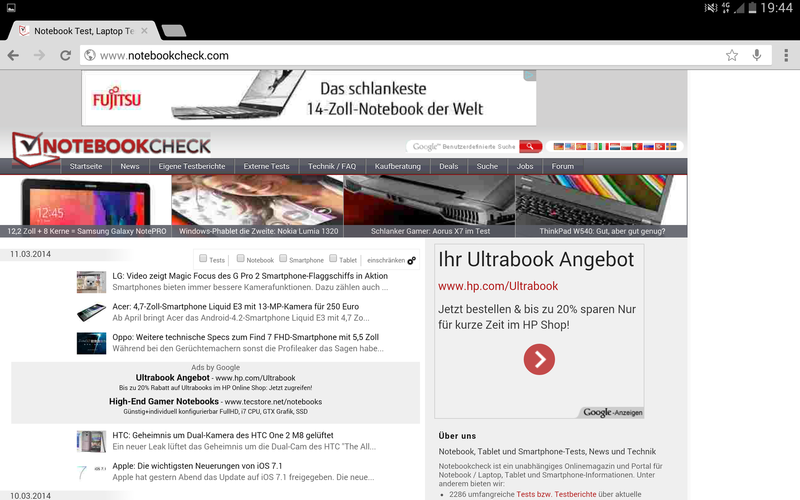 Big screen, weak contrast – unfortunately that is how things are on the Samsung Galaxy Note Pro 12.2. Little has changed there on the LTE version. The cameras, software, memory and operational controls are the same too. We like controlling this device with the S pen. If you push the pen key, a menu with commands appears. 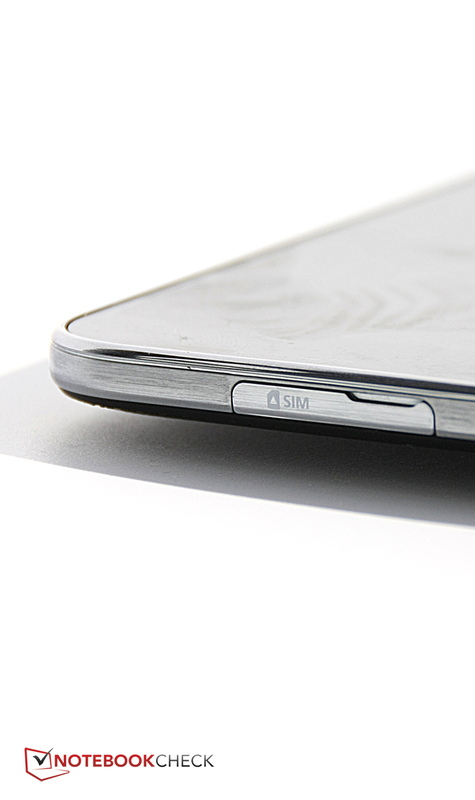 The most visible difference between the two versions of the device is the SIM slot on the right side. On the inside, the Wi-Fi model's SoC was switched out for a different one. The silhouette is still thin. But the LTE version runs faster than the Wi-Fi model. The Galaxy Note Pro 12.2 with Wi-Fi's good qualities are present in its sister model too: a large, high-resolution display, diverse operational controls, and great software. Its performance is even better. This version's battery life could be longer too, and its contrast and black value leave something to be desired. That it seems no one at Samsung found a way to make it easier to insert a SIM card.